India's number one player Prajnesh Gunneswaran, who achieved career-high 102 ranking recently, has been drawn against 22-year-old debutant Matteo Berrettini in the second singles rubber at the Calcutta South Club grass courts. Country’s second-ranked player Ramkumar Ramanathan will open India’s campaign against Andreas Seppi in the first singles match of their Davis Cup qualifier against Italy, starting on Friday. India’s number one player Prajnesh Gunneswaran, who achieved career-high 102 ranking recently, has been drawn against 22-year-old debutant Matteo Berrettini in the second singles rubber at the Calcutta South Club grass courts. In a bold decision during Thursday’s official draw, Italy’s non-playing captain Corrado Barazzutti has kept their top-ranked player, world no. 19 Marco Cecchinato out of the singles main draw. “I thought that’s the best decision in this case,” the 1976 Davis Cup winner said of his combination, keeping an eye on the surprise element in grass. Excited to make his debut, Berrettini, who is the youngest member of the side said: “It will be tough. But we are ready for the challenge. I’m excited.” Cecchinato will partner specialist Simone Bolelli, the 2015 Austrlian Open winner, in the doubles and clash against formidable Indian pair of Rohan Bopanna and Divij Sharan. India’s non-playing captain Mahesh Bhupathi said he is not surprised to see Ramkumar taking on Seppi in the opening singles. 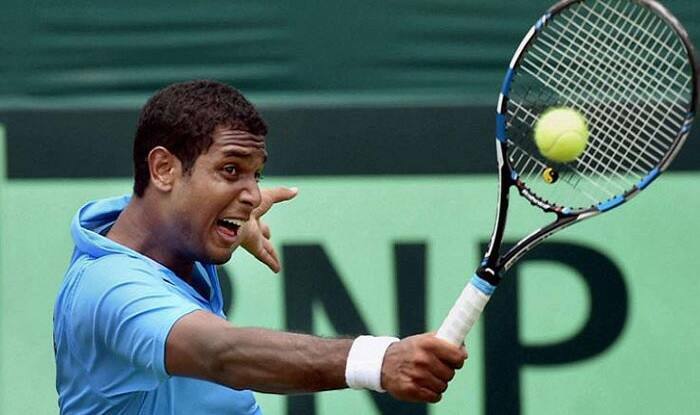 “Literally in every match Ramkumar has played the first Davis Cup match for us and I am happy,” Bhupathi said. In the shortened new format, the ties will now be held over two days with two singles on Friday and a doubles plus two reverse singles on Saturday. Teams team will have one-hour time before the matches to change their combinations. Matches will now be played over best-of-three sets, replacing the gruelling best of five encounters.